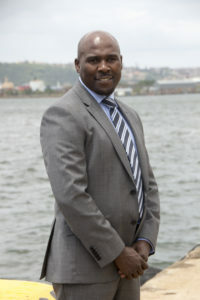 On Friday, in Durban the South African Maritime Safety Authority will have an exhibition promoting safe seas and clean oceans to commemorate World Oceans Day which is held on June 8. The theme of which is “Preventing plastic pollution and encouraging solutions for a healthy ocean”. SAMSA believes it is critical that shipping have a minimal negative impact on the ocean and atmospheric environment. 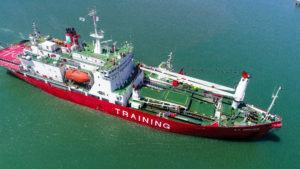 On Friday, in Durban, at the Transnet Cruise Terminal (Durban Harbor) SAMSA will have an exhibition promoting safe seas and clean oceans at the SA Agulhas 11 Open Day which is open to the public. The event will be hosted by the Department of Environmental Affairs. “This must be achieved in a sustainable manner that respects the importance of the ocean. We are poised to ensure waterways are managed safely and effectively, and to establish low-impact trade corridors on the land and the sea that enable international and domestic trade safely and efficiently,” said Tilayi. This recognition of special areas, alongside global regulation including regulation here in South Africa, is a clear indication of a strong awareness of – and total commitment to – the fundamental importance of protecting and preserving the world’s seas and oceans as vital life support systems for all people.